SLOGANS ON SAVE GIRL CHILD:- A girl child is as important as a boy child in the life of parents. Both are equally necessary for the existence of life on the earth, however, we cannot think about the continuity of human life on the earth without a girl child (a future woman). Parents must care and respect their both children (whether a girl or boy) equally without any partiality in all the fields. A mother must give birth to a girl child and never kill her baby girl in the womb. A mother must be aware of her girl baby and never come in anyone’s talk or social stigma about giving birth to a girl child. She should feel proud to be a mother of a girl baby as she herself is a woman and no one can understand better than her. We have provided below some effective, inspirational and motivational slogans on save girl child to encourage common people. 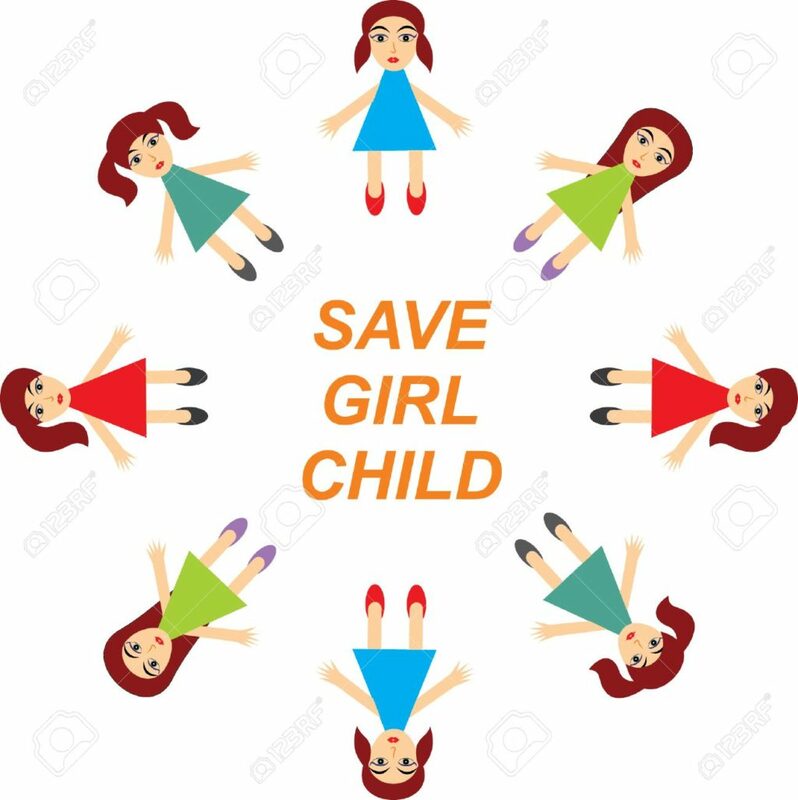 Following save girl child slogans can be used for any related occasion or event celebration to aware and promote people to save girl child. 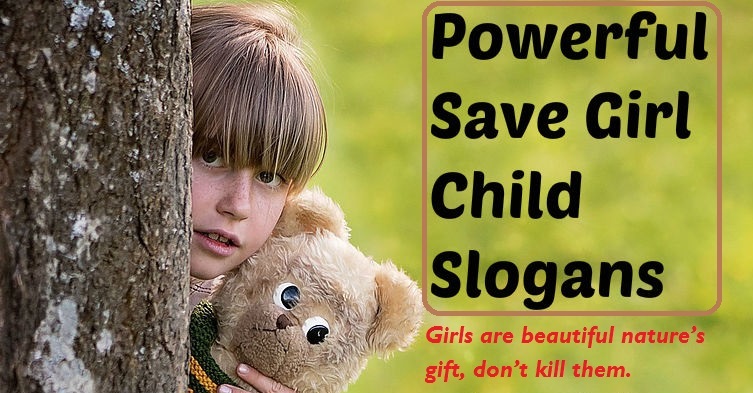 Slogans on save girl child are the best way to make people aware about the importance of girl child in the society. You can choose any slogan given below according to your need and requirement. Save girl child, save tomorrow. If you kill girls, who will share your problems. Save a girl to save tomorrow. Don’t kill a girl, let her see the world. 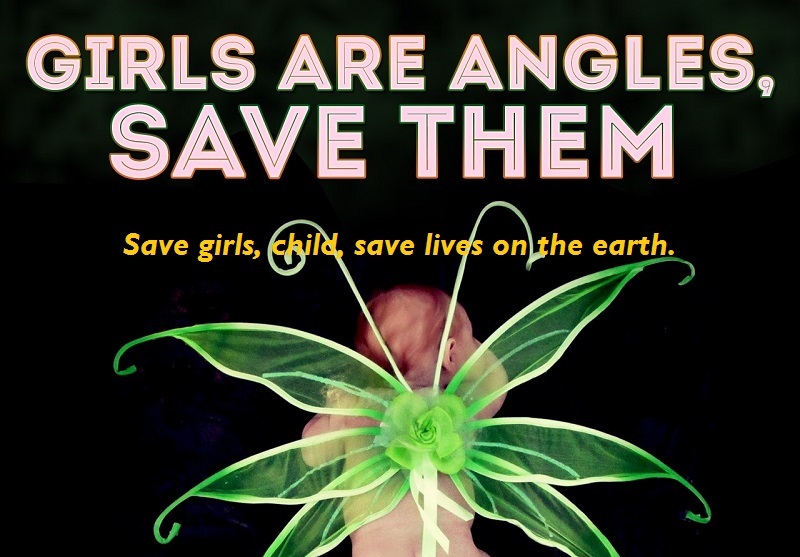 Save girls, child, save lives on the earth. Girls are rock; they give birth to babies in the future! Save them. Girls are a reason to continue life on earth. Save girls. If you kill girls, who will give birth to next generations. Girls are a beautiful creature of God, save them. If we kill a girl child, there will be no girls left in the future. Save girl child, save future generations. A girl child is a miracle by God on the earth. Save her! Girls are beautiful nature’s gift, don’t kill them. You are lucky to have a girl child, never hurt her. Save girl child and empower them to freely live their life. A girl child is a future woman, don’t kill her. A girl child of today is the wife, mother, and grandmother of tomorrow. Save her! Girls are an indication of charm, beauty and happiness in this world, save them. Girls spread happiness in the family, save her. A girl child is like a bud, let her bloom and be the flower of future. No Girl! No Woman! Thus no life. If you kill a girl, you kill a woman of future. Who will give birth to you? Girls are cute little dolls, why you kill them? Girls are precious pearls; take them out of the shell to see the world. Save a girl child and help her to fly. A girl completes a family, don’t kill and let her take birth. Think out of a box and save a girl child. If you kill a girl, you kill the fragrance of life. Think out of box and open your mind for girls. A girl child can bring much joy that your baby boy. A girl child is like a butterfly, she just needs your support and love. Let your girl child to fly but not to cry! A girl child is a butterfly, let her get out of the cocoon and fly. Save a girl child to save your existence on this planet. Don’t kill girl child in the womb, let her take birth. Girls are pearls; let them shine but not a crime against them. A daughter is a link of love in the family, enjoy a life with her! If you kill a girl, you kill your half power! If there is a daughter, there is tomorrow! Save a girl child and let her live with all the rights.